Rich Red Velvets, Devil’s Food with peppermint buttercream, and whipped chocolate Three Musketeers mini cupcakes made up a festive tray for a Christmas party my son was attending over the weekend. It was a last hurrah before the dreaded finals week or as I affectionately like to refer to it as the “f” word. 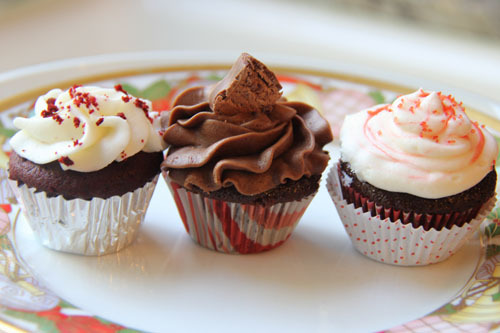 Categories: Cakes, Christmas, Cupcakes | Tags: Christmas cupcakes, Cream Cheese Frosting, devil's food cake recipe, how to pipe swirls, Hummingbird Bakery Red Velvet recipe, mini cupcake decorating ideas, peppermint frosting, Red Velvet Cupcakes | Permalink. 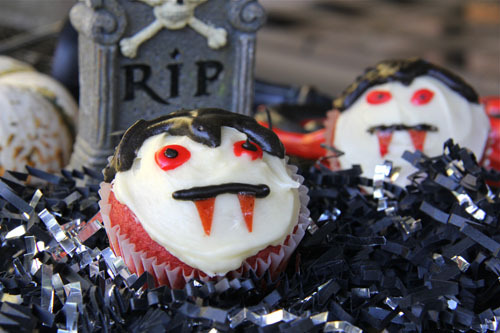 The Halloween party has begun early over here with these Red Velvet vampire cupcakes. This recipe honestly will rock your world and will beat out any other Red Velvet recipe in any throwdown, showdown or bake-off. Trust me. And with the new McCormick black and their red food coloring, it was easy to make an everyday Red Velvet cupcake into a blood-sucking vampire. 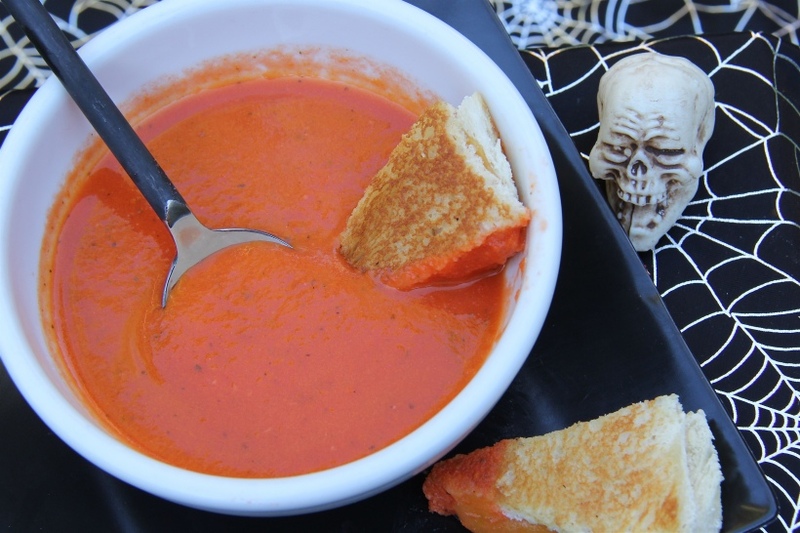 Categories: Cakes, Cupcakes, Halloween | Tags: Cream Cheese Frosting, Give away, Halloween cupcakes, Halloween Vampire cupcakes, McCormick Give Away, Paula Deen Red Velvet recipe, Red Velvet Cupcakes | Permalink.